We have a reason to celebrate this year at the Biofach and Vivaness conferences: The 2017 version of the Fair for Life and For Life standards will be released! We are excited to share this with you and invite you to enjoy a cup of coffee or tea with us at our booth to discuss the launch and the new developments in the social and fair trade markets. For more information please find the invitationhere or visit www.fairforlife.org. 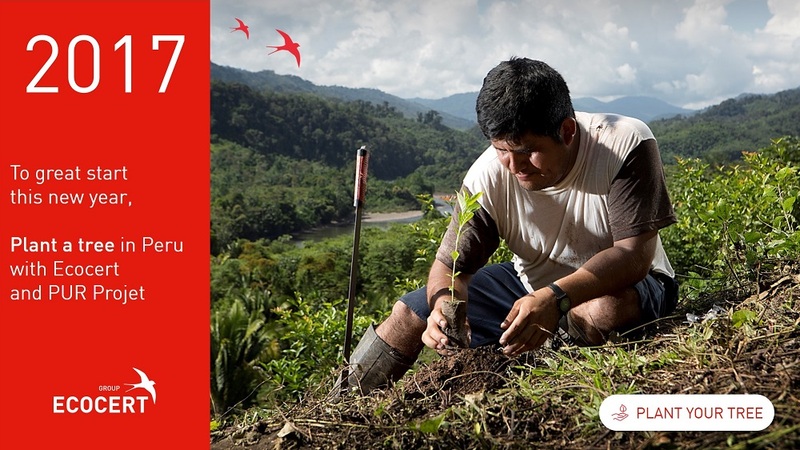 To mark the New Year, ECOCERT and IMO invite all customers, partners and employees to plant a tree. We colaborate in a pioneering reforestation and agroforestry project developed by PUR Projet in partnership with Acopagro small-scale cocoa farmers cooperative, certified organic and fair trade. More than 2 million trees have already been planted in this project, mainly high value timber species and fast growing species, to allow farmers both to protect their cocoa crops, regenerate their ecosystem and diversify their sources of income.